Located in a quiet residential road backing on to Sparrow Wood, this Post War built semi-detached features an extended breakfast kitchen, ground floor shower room/cloakroom, attached garage, south facing rear garden and private driveway for two cars. Additionally, there are three well proportioned bedrooms, a spacious through lounge/diner and a family bathroom on the first floor. 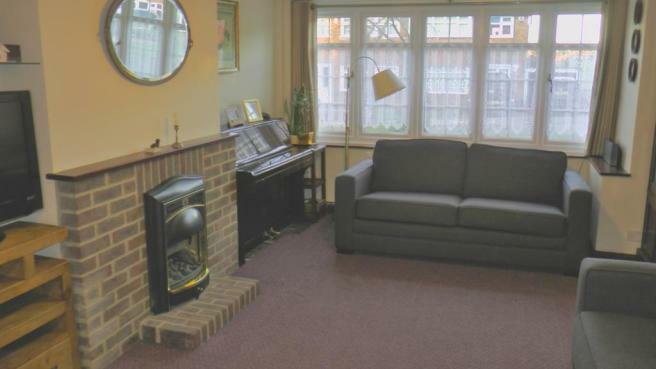 Benefits to note include; gas central heating, Georgian double glazed windows to the front elevation and well presented interior. The property is situated within easy walking distance of Petts Wood town centre, Petts Wood mainline station serving five mainline London Stations, DLR service via Lewisham, nearby reputable schools (Crofton, Southborough and St James RC), nearby transport links (R3, R7 and 208) to Orpington and Bromley, selective senior schools in Orpington and plenty of open spaces for outdoor leisure pursuits and dog walking. Exclusive to Proctors. 4.25m x 1.87m (13' 11" x 6' 2") Panelled entrance door and double glazed windows to side, radiator, meter cupboard. 7.50m x 3.53m (24' 7" x 11' 7") (into bay window and alcove) Double glazed window to front, feature fireplace surround, gas coal fire, radiator, open plan to dining room area. Double glazed patio doors to rear, radiator, door to kitchen. 5.43m x 3.05m (17' 10" x 10' 0") Double glazed window to rear, range of modern wall and base units, double drainer sink unit, free standing gas cooker and hob to remain, plumbed for dishwasher and washing machine, combination central heating boiler, peninsula breakfast bar, radiator, opening to inner lobby and shower room, door to garage, double glazed door and window to garden. Door to garage and shower room. 1.80m x 1.70m (6' 0" x 5' 7") Corner shower unit with built in shower controls, low level WC, hand basin, ceramic tiled walls, extractor fan, chrome heated towel rail. Double glazed window to side, access to loft via loft ladder (part boarded and insulated). 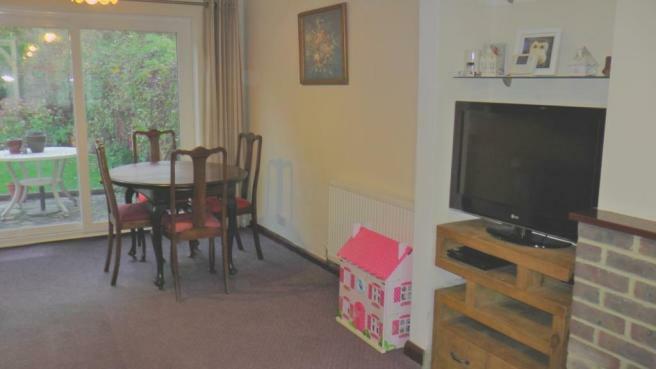 4.27m x 3.08m (14' 0" x 10' 1") Double glazed window to front, radiator, two fitted wardrobes. 3.60m x 3.12m (11' 10" x 10' 3") Double glazed window to rear, radiator, wall lights. 2.44m x 2.36m (8' 0" x 7' 9") Double glazed window to front, radiator, fitted wardrobe, fitted storage cabinet. 1.82m x 1.80m (6' 0" x 5' 11") Double glazed window to rear, bath, hand basin, low level WC, tiled walls, chrome heated towel rail. Paved patio area, laid to lawn, ornamental fish pond, established borders, mature shrubs and trees, two garden sheds, outside tap, outside socket. Back on to Sparrow Wood. 3.73m x 2.88m (12' 3" x 9' 5") Attached brick built garage with up and over electric rolling door, power and light, door from Inner Hall. Disclaimer - Property reference 13077683. The information displayed about this property comprises a property advertisement. Rightmove.co.uk makes no warranty as to the accuracy or completeness of the advertisement or any linked or associated information, and Rightmove has no control over the content. This property advertisement does not constitute property particulars. 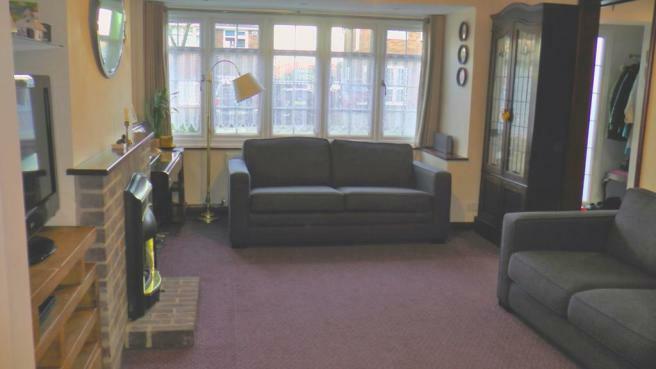 The information is provided and maintained by Proctors, Petts Wood. Please contact the selling agent or developer directly to obtain any information which may be available under the terms of The Energy Performance of Buildings (Certificates and Inspections) (England and Wales) Regulations 2007 or the Home Report if in relation to a residential property in Scotland.